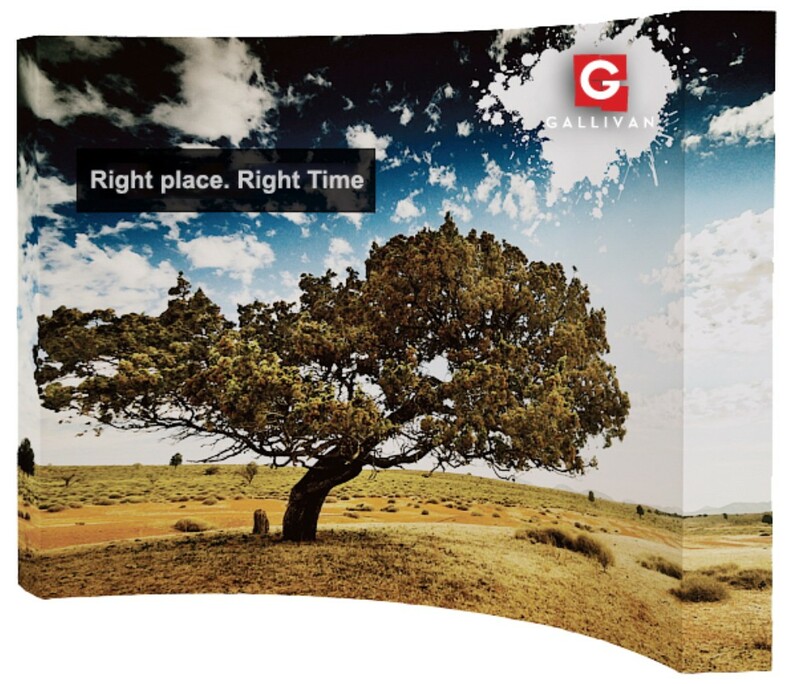 The Curved Pop Up Wall is a perfect product for a small trade show display or retail location. Installation is a snap and will take one person about 5 minutes. The display is ultra portable and easy to use. The curved pop up wall shape will stand out from a sea of flat back walls. The curved shape invites customers to enter your booth and looks fantastic when paired with an optional set of lights. Our curved pop up wall includes a commercial grade frame and a carrying case. Make sure to ask about optional accessories like a hard case or a set of lights.